Women get chocolates and flowers as a thank you gift but what about men? What is the 'go to gift' for a husband you want to show extra appreciation for, a helpful male neighbor, a considerate Dentist, a generous car mechanic, your delivery guy? How do you say thank you to a man with a gift? In the past I have gifted guys 'beer money' or a simple card and occasional chocolates if I know what they particularly favor (guys have a sweet tooth too) but aside from that there really is no 'go to thank you' gift idea for men, so I'm gonna change all that. 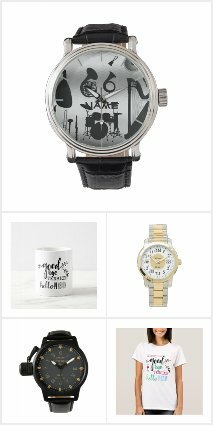 I have created a range of fun and modern thank you gifts for men - you can view the full range HERE. Featured here are a range of 'Thank You' gifts for men for all manner of things whether it be to thank them for good advice, nursing you through illness, helping you put up shelves, do the shopping, write a CV, give you rides to work, helped you out with a loan .. whatever the reason you want to say thank you there will be a customizable gift for a man here that you can show your appreciation with. 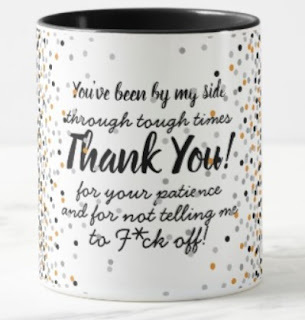 This range of thank you mugs are for the guy who gave you his ear. He listened to all your worries and your woes and was there when you were at your lowest and he helped pick you back up again. "you've been by my side through tough time, Thank You for your patience and not telling me to f*ck off!" 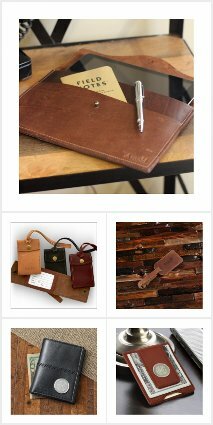 You can personalize the text so that your thank you gift to him is in your own words. Need a gift to show your husband, boyfriend or life partner how much he means to you? 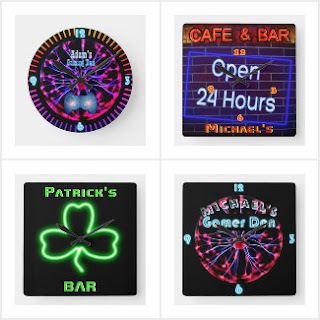 He’ll love a personalised Mancave Bar Den Men Only wall clock. That is assuming he has a mancave, shed, spare room or even an escape pod he can retreat to. Guys need a mancave and he'll love you forever if you help him make his 'special space' comfortable and chilled. 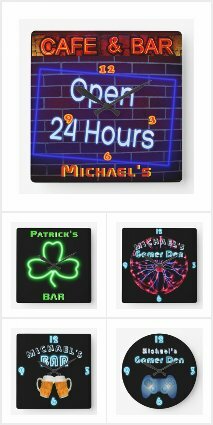 Decorate his mancave with this special personalized thank you wallclock and he'll know how much you appreciate him. 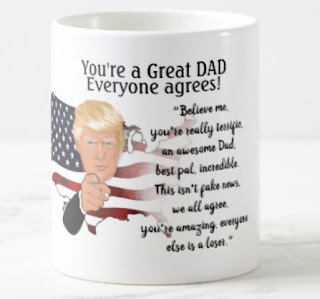 Thank you photo mugs for family men - husband, dad, grandpa etc. What about those family men who have meant so much to you over the years. Think of all those times your dad came to your rescue with late night lifts, fixing leaky taps, giving you a loan. Or what about Grandpa and all those great life stories, helping you with your homework as a kid, giving a hand decorating as an adult. 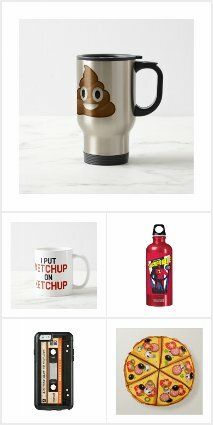 Whatever the reason, you can say thank you with a personalized photo collage mug. 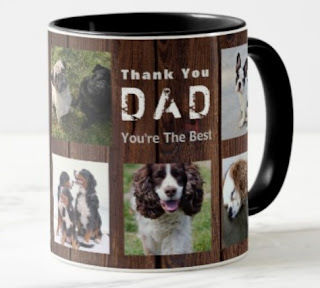 Dad or Grandpa would love a personalised thank you mug with a range of happy family snaps and a special loving message. Thank you t-shirts - world's greatest dad, brother, husband, neighbor, teacher, Doctor etc. Want to thank your brother for being there you when you needed support? 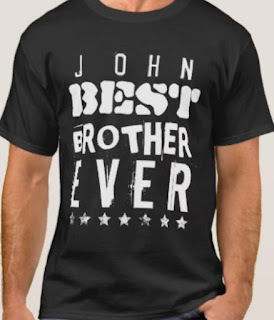 This personalised world's greatest brother T-shirt will say thank you in a way he will always remember every time he puts it on. 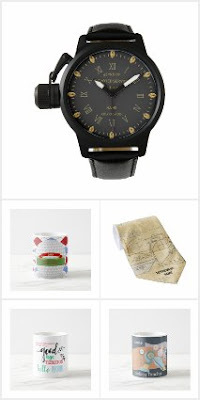 World's greatest dad, brother, grandpa gifts are always a huge success and I have something for every man HERE. 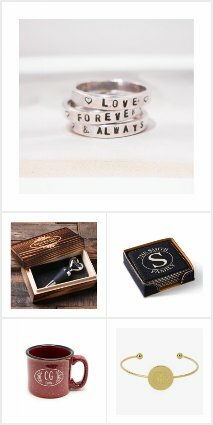 You can customize the text for that special man in your life using the tools on Zazzle. Thank you watch for close family, employee. Granddad would surely love a personalised thank you watch to show your appreciation for all those little things he’s helped you with over the years. Your personal message to say thank you will remind him how much he’s loved in return. Personalized watches also make great thank you gifts for employees, perhaps when they retire or as an end of year appreciation gift. Sometimes we want to say thanks to the man who put himself out for us in some way, over and above what we might expect. The delivery man who regularly carries your heavy parcels up flights of stairs and won’t accept a tip. Or the plumber who comes out at night to fix your leaking tap and doesn’t charge you the earth. Why not give him a personalised thank you mug or occupation themed keyring, a simple but thoughtful way to say thank you because you’ve noticed and appreciate his kindness. You might also want to thank the man who shows you a really special personal service, your gym buddy, fitness trainer, dietician or hairdresser. 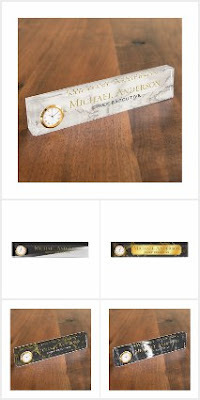 In these cases, a commemorative occupation themed mug, business themed neon look wallclock would make a lovely thank you gift that he can put on display to show everyone your appreciation for his devotion to a really special client. Perhaps you want to say thank you to your personal physician or therapist for listening so intently to your concerns and doing their absolute best to help you all they can. They would love a customized desk name plate or wall plaque to proudly display to all their clients your gratitude for their dedicated work on your behalf. Don’t we all love our kittens and pooches, and who do we turn to when they are ill? Why, our veterinarian, and when he pulls out all the stops to make your beloved pet well again, why not show your thanks with a personalised vet, vet nurse wall sign. On show in his surgery, your sincere appreciation for his good work will be displayed for all to see. Thank you Gifts for teacher are hard to choose and you want a gift that stands out from the rest. 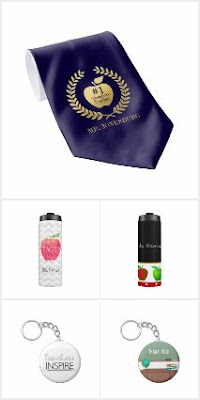 The eye-catching personalised thank you neck tie with his name or monogram printed on it will tell everyone in the class he is a teacher on top of his game.